Shikhar Srivastava from Arrah, Other Graduate. 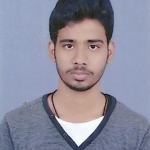 Shikhar Srivastava is PUBLIC RELATION OFFICER and currently have no work experience. are one of expert skill area's of Shikhar Srivastava . Shikhar Srivastava is working in Content Editors industry.